Earlier this month Apple reported its fiscal third quarter earnings and, while it's one of the largest sellers of tablets in the world, the company noted that sales of its iPad had slumped yet again. This might not be an Apple-only problem, however, because new statements made by Best Buy CEO Hubert Joley suggest that interest in tablets overall might be sinking. In an interview with Re/Code, Joley said that, while tablet sales are sinking, there's a revival in the PC business, which he attributes to Microsoft's decision to stop supporting Windows XP. "From a technology standpoint customers now have a broad range of choices with tablets and the phones," Joley said. "So some of us have a phone and a tablet and a laptop, but many people can add [sic] converge to either a tablet and a phone or a phone and a laptop." Joley also said that "tablets boomed and now are crashing," and that the PC is succeeding again because they're more "versatile," thanks to new form factors that allow them to serve as both tablets and notebook computers. Joley reaffirms some of our own suspicions as to why tablet sales are sinking in some arenas, and the reason is likely because folks don't see the need to upgrade to a newer model as they do with other products, like phones. "The issue has been that, once you have a tablet of a certain generation, it's not clear that you have to move on to the next generation," he said. "It's going to depend on what innovation comes next. But you need a reason to replace." Joley also reminded Re/Code that customers don't have to think of Best Buy as a showroom, only to make a purchase on Amazon. 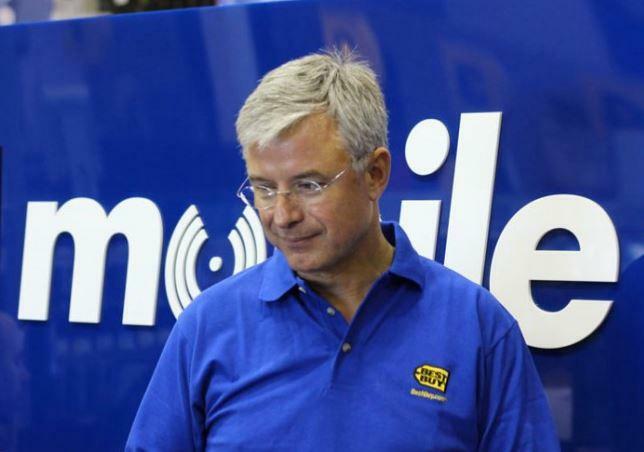 He reaffirmed Best Buy's intentions to price-match anything on Amazon. As for the Best Buy business, Joley also argued that Best Buy isn't going anywhere soon. "We'll be around in fifty years," he said.